Operating any kind of business means there are a lot of daily tasks and items that you need to keep track of – and a SignWorld business is no different. 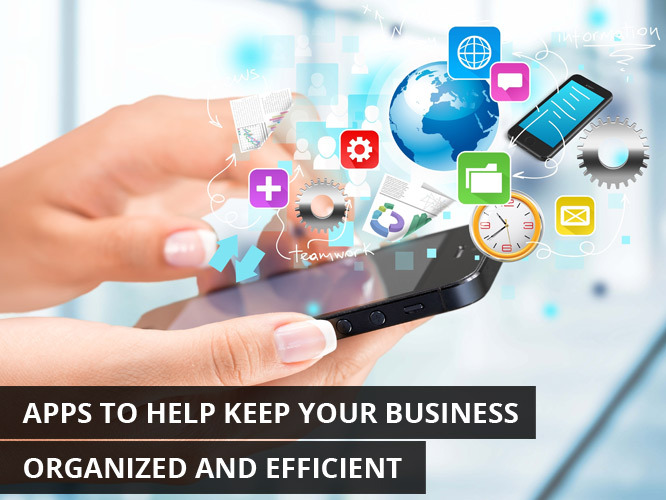 Fortunately, in the age of smartphones and other connected devices, there is a whole host of tool (apps) at your disposal to help you stay organized and efficient. Addappt: We all know that having updated business contact information is important, but given how transient people are these days, maintaining an up-to-date address book can be a challenge. Addappt is a free app for both iOS and Android users that helps keep contact information current – essentially allowing your business contacts to update their own information in your address book. Fuze: Is meeting in person a challenge for some of your clients and business contacts? Fuze is a videoconferencing app that allows you to host online meetings using a variety of devices. Say for example you are creating signage for two partner businesses on opposite ends of town. Through Fuze, you can create a videoconference to discuss and present concepts and ideas. Clear: This app for iOS users allows business owners to set up daily task lists, sort and set up reminders. It is ideal for SignWorld owners with busy schedules. Rescue Time: Do you ever wish you had more time in the day. Rescue Time offers the next best thing – it tracks the amount of time that users spend on various websites and applications, and produces detailed reports which can in turn, show you how you might be more productive. Square: The widespread use of smartphones has made everything about running a business more portable – and that includes taking credit and debit card payments. Square is a payment app designed for all systems and devices that uses a small credit card reader that attaches to your phone, making payments a breeze. Evernote: Do you need to sync documents and notes between various computers and devices? Evernote helps you keep track and keep all your important communications in one space. Mailchimp: Over time as you build your business, you may want to develop a mailing list. The Mailchimp app is one of the best ways to send html emails to either your full list or a segmented portion of your list. For example, say you want to focus on retail stores one month and auto body shops the next – Mailchimp can help you segment your lists to send your customers the emails that are most relevant to them. Polaris Office: If you are looking for an alternative to iWork to manage your Microsoft Office documents when you are away from your PC, look no further than Polaris Office. This app lets users create, edit and sync Microsoft files on their phones. And the Polaris Office 5 version of the app won the prestigious PCMag Editors’ Choice Award. This is just a small sampling of the apps that are out there that can help your SignWorld business run more smoothly and efficiently. Take some time experimenting to see which apps work best for you.